Review: Paul McCaffrey: Pills, Thrills and Belly Laughs – Udderbelly Wee Coo, Edinburgh. 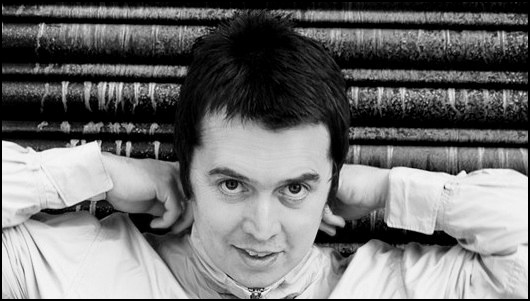 Even if you have no idea who Paul McCaffrey is – or where his background lies – the Liam Gallagher-esque haircut and tambourine-based entrance is a clear giveaway that he is ‘a Britpop legend.’ McCaffrey’s stand-up routine circles around Glastonbury, Primal Scream and the greatest decade in music, the 90s. Admittedly, if you didn’t grow up in the 90s, you might get a bit lost throughout Pills, Thrills and Belly Laughs, but McCaffrey pulls you back in with some fine writing and an affable stage persona. Despite being in his 30s, McCaffrey is still living the music festival lifestyle. His tales tonight evolve from the early days, when the way in to Glastonbury was over a massive fence, to today’s sad tales of British music festivals. You can tell from the way he recites these anecdotes – and that sparkle in his eye that appears during a discussion about Glasto 1985 – that this is his life, his passion and the show is all the more accessible for it. In case you were wondering, the ‘pills’ aspect of the show does provide the strongest material; big punch lines, but all in good spirit. Largely, the jokes travel outward, the drug humour never related back to Paul himself. He does, however, deliver a very graphic description of the ‘thrills’ of camping, a hilarious, offbeat fete that all festival-goers have endured in their days. McCaffrey’s show will only blossom if you can really relate to era. If you’ve never been to a music festival, or enjoyed 90s Britpop music, you’re probably not going to think that this show deserves the praise it gets in this review. For me, though, McCaffrey is a breath of fresh air. He’s not for everyone by any means, but his charm, passion and enthusiasm for the British festival scene is really something for those hoping to reclaim their youth here in Edinburgh. Date of live review: Friday 17th August 2012.